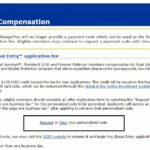 United reimburses the $100 Global Entry fee for Global Services, 1K, and Premier Platinum members but this benefit is being discontinued on 2/1/15. New Year’s Day is perfect for 2015 travel housekeeping. Early adopters will be coming up for renewal and can do this up to 1-year from existing Global Entry expiration. 5 years will be added to the current expiration date. You need to do this before application, because United provides a 1-time use voucher valid for payment of the Global Entry charge on the Global Entry GOES website. This is not after the fact reimbursement so officially not able to double-dip with a credit card that reimburses Global Entry, however some have gotten credit from United for Global Entry fees previously paid or paid out of confusion with the process, see this FlyerTalk thread for reports. It is against the terms to use it for someone else, and have not seen reports of successful attempts. This is not for NEXUS or SENTRI, either. Go here to request your voucher which takes 1 business day. The voucher will be emailed to you or you can return to the same page to retrieve it when ready. Then complete your Global Entry application on GOES and use the voucher to pay. I am up for renewal and requested my voucher today. I have wanted to do NEXUS but never had a chance to do the Canadian interview. Since United is handling me another free 5 years of Global Entry, I’ll take it. @Stefan – the voucher itself doesn’t have an expiration date, except for when it says the credit card (which, I would assume, is what they are calling the voucher) expires in May. Would that be the expiration date of the voucher then? @Charlie – I would guess so, then. Still waiting for mine. Thanks for the reminder! I had requested it but not done anything yet. I checked and found that they marked my expiration 4 months after the actual 5 years – so not until a year from March. Since I already have the voucher, I can still use it in March even though they are discontinuing it in February, right? Thanks! 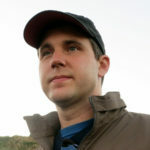 @Charlie – if the voucher doesn’t show an expiration I would double check in case the system has an expiration built in.